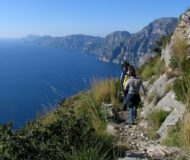 Trekking in Sorrento and Amalfi Coast. Excursions, walks, tours and music! Walking as a requirement of life and proposal for sustainable tourism. Description: Excursions, walks, tours and music! Walking as a requirement of life and proposal for sustainable tourism. 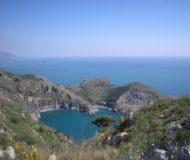 4 beautiful walks through the nature trails of Massa Lubrense, in May and June, organized by the Municipality of Massa Lubrense. 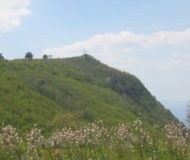 Description: 4 beautiful walks through the nature trails of Massa Lubrense, in May and June, organized by the Municipality of Massa Lubrense. 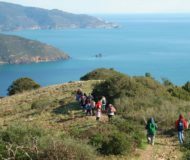 It is now in its 23 th edition the event organized by the FAI (Italian Environment Fund) which, this year, offers us a beautiful walk up to the Ieranto Bay (Massa Lubrense). 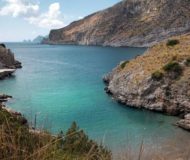 Description: It is now in its 23 th edition the event organized by the FAI (Italian Environment Fund) which, this year, offers us a beautiful walk up to the Ieranto Bay (Massa Lubrense).